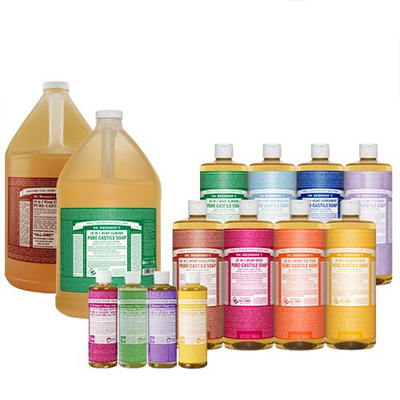 Dr. Bronner’s Castile Soap is all-natural and non-toxic that’s highly moisturizing and can be used just about anywhere. It can be used as body wash, dog wash, dishwashing, laundry, and as pest control (depending on the scent used). Scents include lavender, peppermint, tea tree, citrus, ecalyptus, and unscented. And, the packaging is made of 100% post consumer recycled (PCR) plastic.